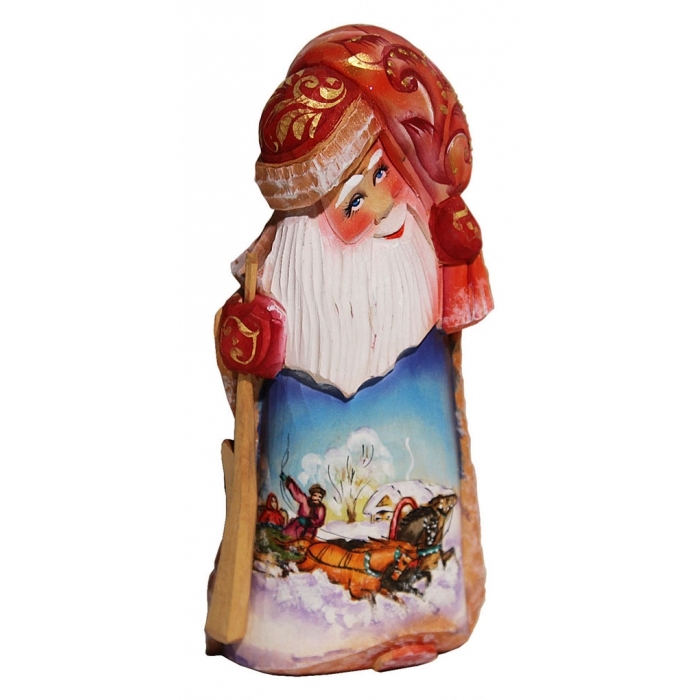 This wooden Santa Claus is hand carved of linden-tree and hand painted in Russia. 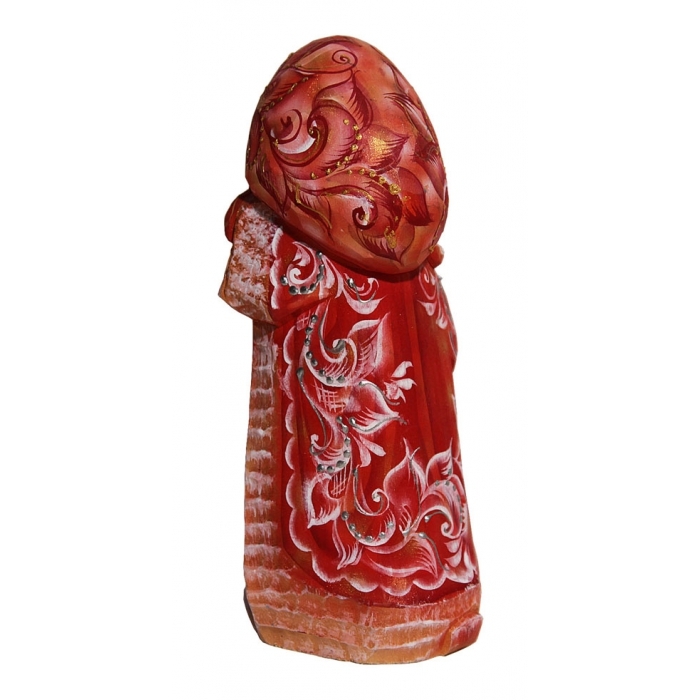 It is 7.2' high. Signed by the artist.